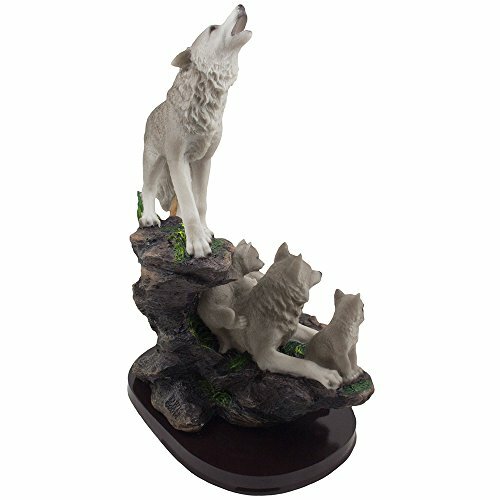 Standing atop a rocky overlook, a song to the moon is being sung by a howling wolf while its pack mate and cubs look on in this truly breathtaking statue. 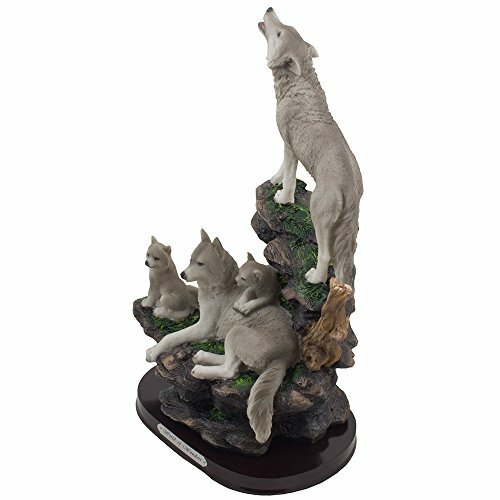 An exquisitely detailed sculpture that makes a great accent piece for any rustic cabin or Northwoods lodge décor theme. Certain to be a center of attention no matter where you decide to display it! 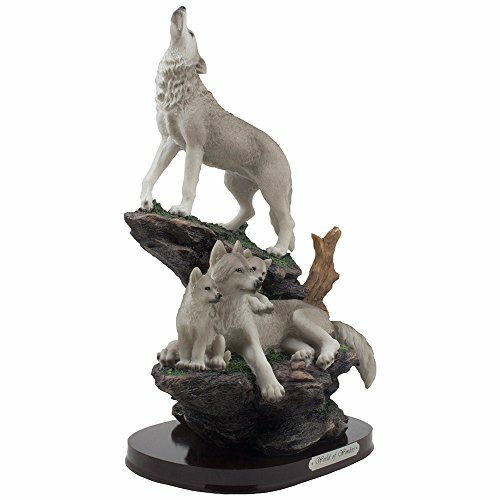 Makes a great Christmas gift idea for collectors of wolves or timberwolves. Standing atop a rocky overlook, a song to the moon is being sung by a howling wolf while its pack mate and cubs look on in this truly breathtaking statue. - See full description below. Dimensions: 8 1/4" x 6 1/2" x 12 1/2" high. Weight: 3.1 lbs. Individually hand-crafted from cold cast resin and mounted on a wood base with felt feet. Because our polyresin products are individually hand-crafted works of art, colors may vary slightly from what is pictured here. 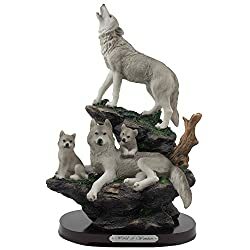 Makes a great gift idea for Timberwolves and Wolfpack fans.